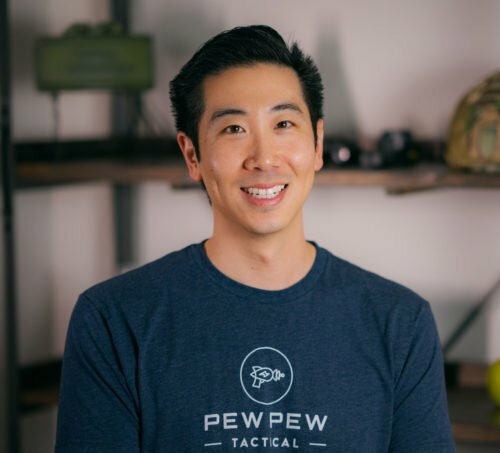 Looking for the best 10/22 mod to increase your accuracy and firing speed? It’s gonna be a new trigger. We got four of the most popular drop-in triggers and trigger kits to test their feel, pull weight, and shooting split times. By the end you’ll know which 10/22 trigger upgrade is the best for you and your budget. 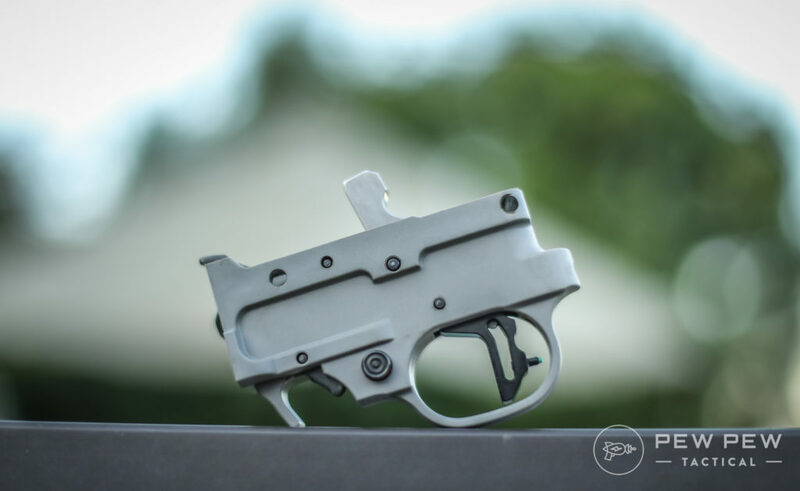 The most affordable and very popular option is Ruger’s BX Trigger ($70). I have Tandemkross’ extended mag release on it…but the trigger mechanics are untouched. And they bring my old 10/22’s trigger from a gritty 6 lb 9 oz pull down to a consistent 2 lb 4 oz. The pull is still little spongy but so much better than stock…which for some reason never became better for me even after several thousand rounds. There wasn’t a lot of pre-travel (amount of movement before the trigger fires/breaks). But there was more post-travel (movement after the trigger breaks) than I would have wanted. Reset has some movement but ends with a nice click. The trigger and the housing is plastic and there’s some side to side movement…but everything is reliable and great value for $70. I shot this trigger the fastest out of all the tested ones with a split time average of .136 seconds. For comparison…I shoot a stock AR-15 trigger with .22 second splits and .136 is in the range of a nice upgraded AR trigger. My most worth-it pick especially when you’re looking for something easy to drop-in and doesn’t break the bank…especially when a 10/22 itself only costs around $250. What’s your take on the BX Trigger? 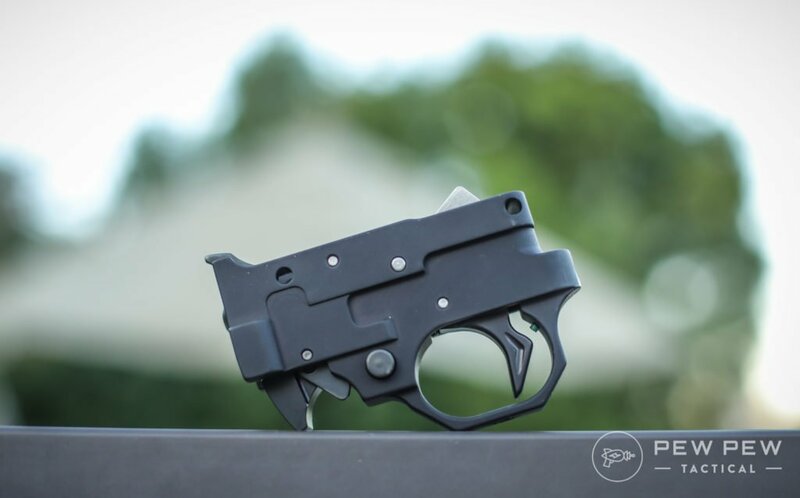 Looking for something a tier above Ruger’s option? 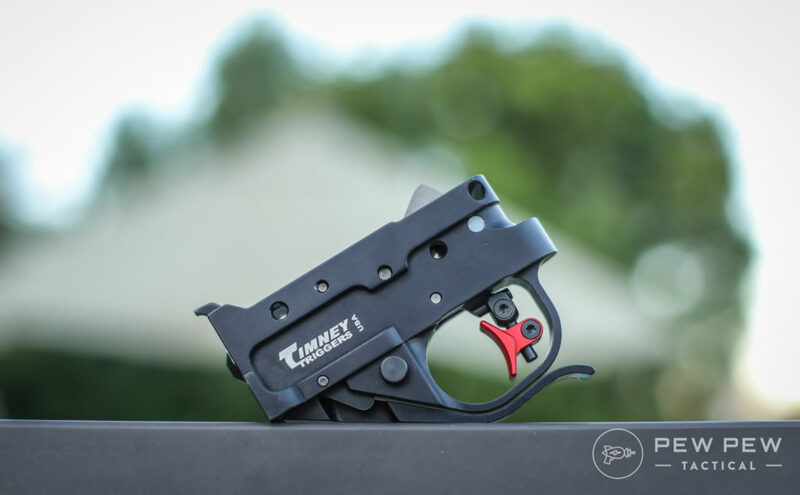 Tandemkross has a trigger kit they made in conjunction with Brimstone Gunsmithing that comes with an upgraded trigger shoe, sear, pin, and hardware. 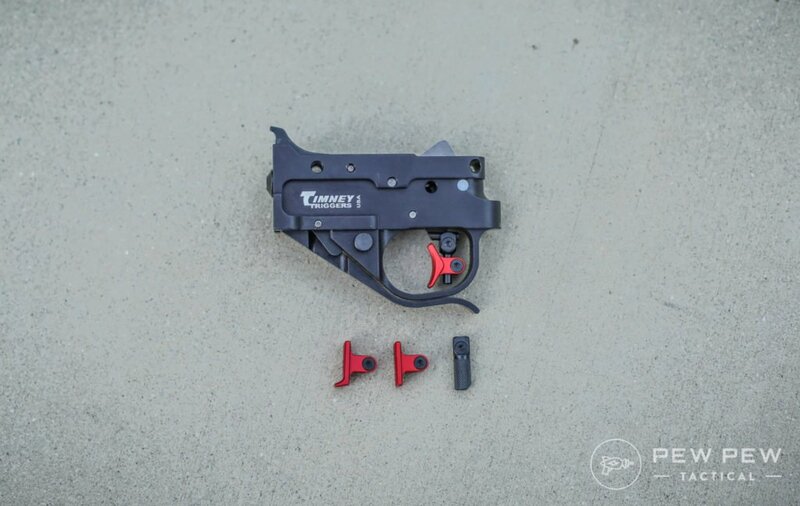 You need to almost completely take apart the stock trigger housing, but Tandemkross has a nice tutorial video. If you aren’t mechanically inclined…I’d check it out first before deciding to go this kit route. I set it up in about 30 minutes and tweaked the post-travel to be as minimal as possible and ended up with a 2 lb 14 oz trigger pull. There’s slight pre-travel that reaches a nice wall before a clean break. And you get a crisp reset…but somehow I couldn’t shoot it as fast as the other triggers with a .185 second split time. If you’re looking for something crisper than the BX that will aid in precision applications…you can’t go wrong with Tandemkross’ kit. Just keep in mind you’ll have to do some minor gunsmithing. Timney’s Calvin Elite is the brainchild of their head trigger designer who was given free reign to create the best trigger possible. The Calvin Elite is my favorite AR-15 trigger and it continues Timney’s tradition of awesome triggers with their 10/22 version. There’s almost no pre-travel and very little post-travel. Combined with a glass-rod break and the strongest reset out of all the triggers tested. Mine also had a super consistent 2 lb 6 oz pull and a split time of .155 seconds. You can change the horizontal and vertical aspects of the trigger to your heart’s content. I like mine to the back and up so that I get a near perpendicular trigger pull to minimize extra movement. Plus there’s 3 extra different types of trigger shoes to suit your pull style. But because there’s two Torx screws holding the adjustments together…you’ll want to properly torque them and use blue Loctite so they don’t loosen. And although I really like the mag release…it doesn’t work well with pistol grip stocks. My pick if you value trigger placement/choice over post-travel adjustment…and love a strong clean break coupled with a strong reset. We’re in the big leagues now…and Volquartsen is the reigning champ of everything 10/22 upgrade. The TG2000 is made out of aluminum so has some heft and just feels quality. A hair-trigger weight of 1 lb 13 oz which was the same every time I measured it. Plus there’s adjustable post-travel (easy to access) and pre-travel (you have to take everything apart). After adjustment and about 45 minutes to take it apart and back together…I ended up with no discernible pre and post travel. Reset is a little weak but it works reliably. And I ended up with a .163 second split time. Oh…and it gives your 10/22 auto-bolt release too. 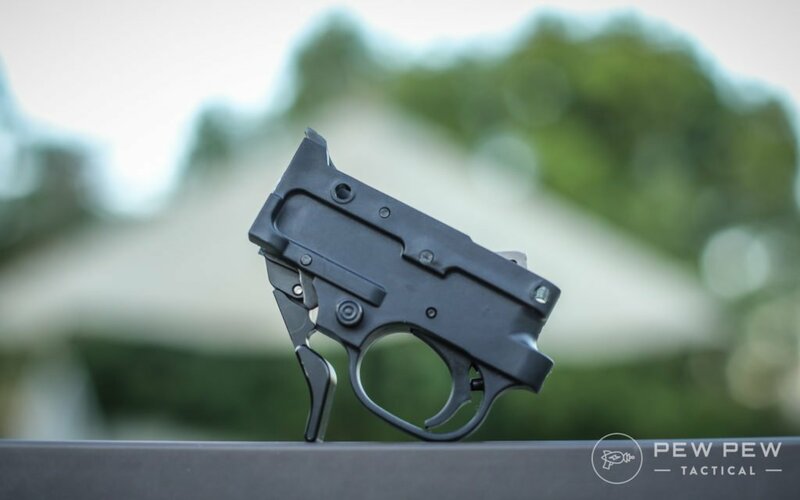 My choice if you want the best feeling adjustable trigger…but it’s going to cost you about a new Ruger 10/22 and some elbow grease to adjust the pre-travel. We’ve gone through four of the most popular 10/22 triggers and kits out there. The most affordable and fastest shooting one for me was Ruger’s BX Trigger. 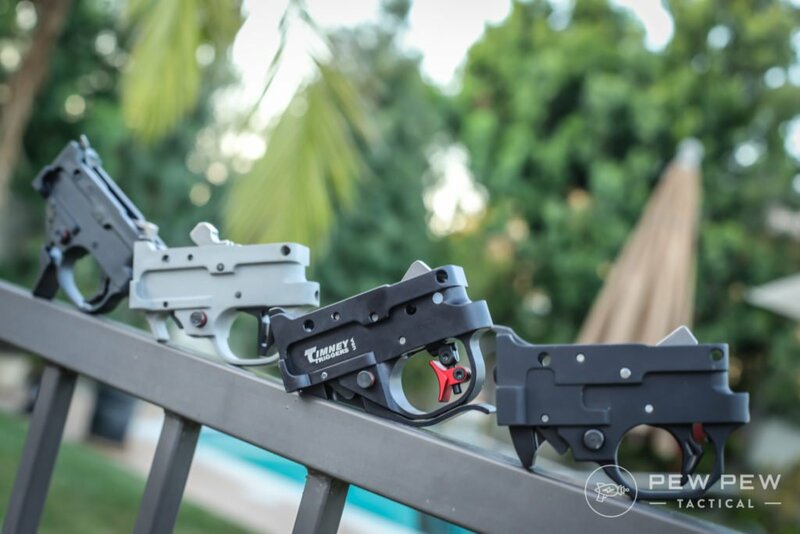 If you are looking for something a little higher-end and adjustable…get Tandemkross’ kit. And if you value trigger adjustment and a nice extended mag release (if you don’t have a pistol grip), get the Timney Calvin Elite. Now…how about the best in terms of adjustability and trigger pull lightness? That award goes to Volquartsen. 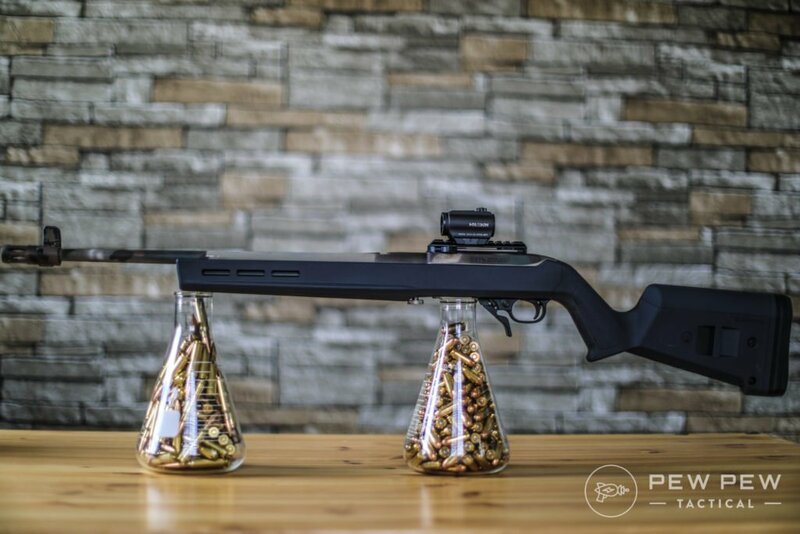 What 10/22 trigger do you plan on getting? If you want to mod your Ruger some more…check out our Best 10/22 Upgrades. This review lost all cred with me by not including either the Kidd trigger or the Kidd “trigger job” kit. Thanks Curt, we’ll be looking to add that in a future update. 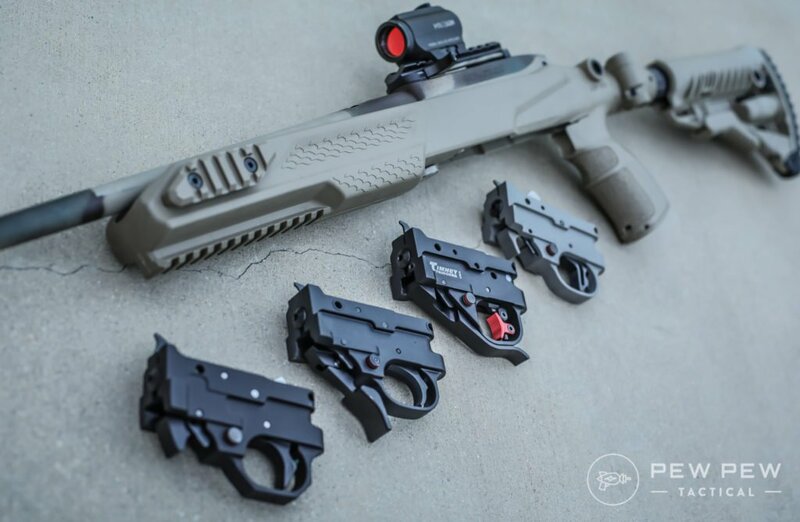 Randy @ CPC is the John Paul of the 10/22 world, you should get one of his trigger jobs to add to the mix, and a Kidd as well. I truly believe that KIDD triggers should have been in this evaluation as well!! They are as reputable as Volquartsen nowadays if not even a notch better. YES !!! , Have one , TOTALY excellent ! Why would they not include it ???? I have heard and seen first hand and they are by all means better then some of the others on the list …. I have a BX trigger installed in the wife’s takedown, and I just got a Powder River Precision trigger (As yet unopened and un-installed, too many unfired guns to go first) I like the looks of the PRP trigger, It will go in my wood stock takedown. hope it works and I have a spare BX if it does not. PRP is new to me, let me know how it goes. Yes sir KIDD triggers are hard to beat. Ultra nice. Yes, I don’t have one…yet!